Shh. Your secret is safe with us 😉. 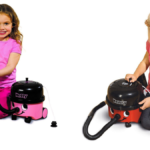 Decorating your home with accessories, art and other furnishings lets you put your personal touch on your dwelling. Sometimes, though, décor can be pricey or hard to find. 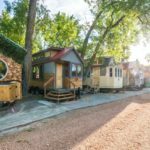 Perhaps you have considered trying some DIY projects, but you don’t want the results to look tacky or obviously homemade. 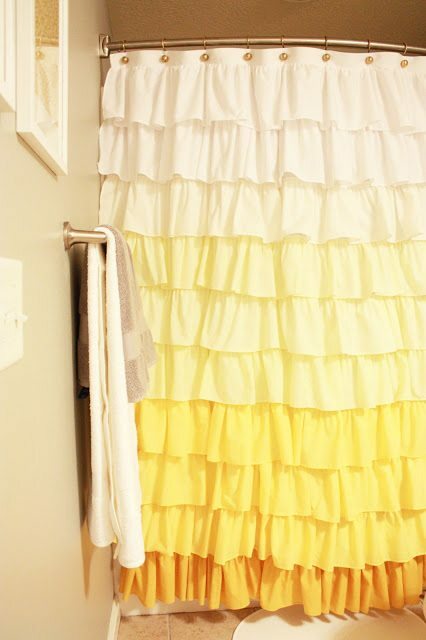 While there are certainly a fair share of Pinterest fails out there, there are also loads of impressive DIY designs. 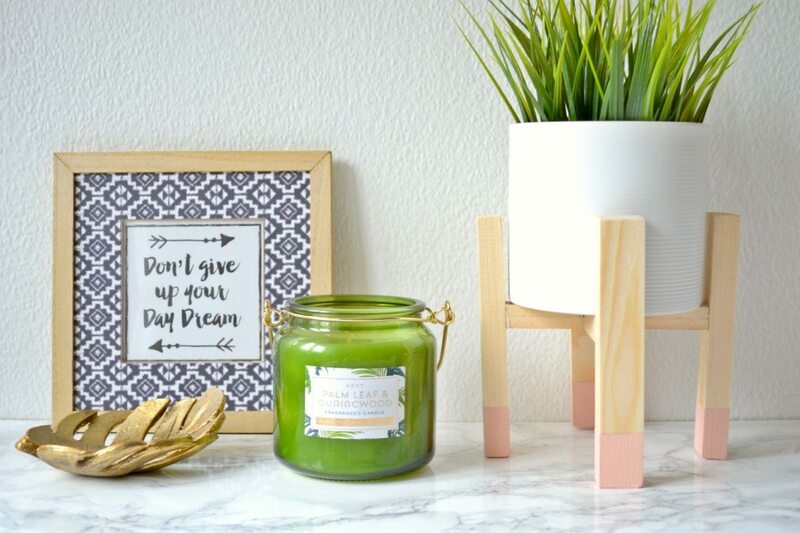 Any of these projects will add flair to your home and make you proud of your crafting skills while saving you some cash, to boot. Pottery Barn can be a wonderful place to shop for home decor. 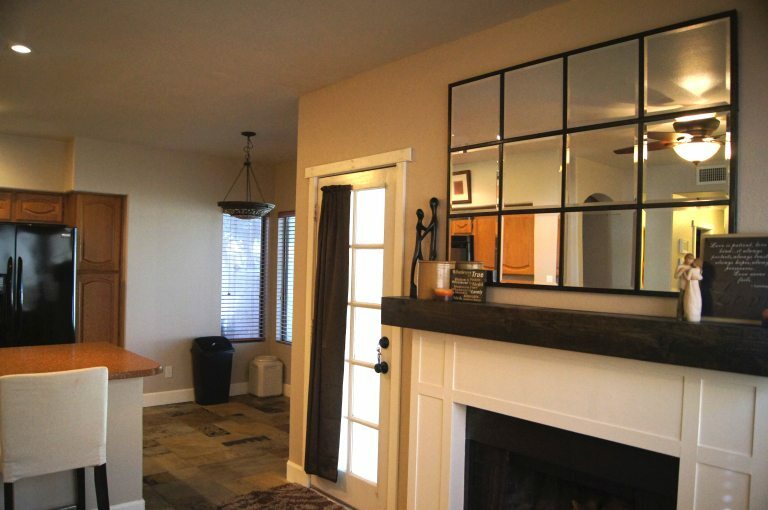 If you’re budget conscious, it can also be a source of inspiration for DIY items like this striking mirror. Love the mid-century modern aesthetic? 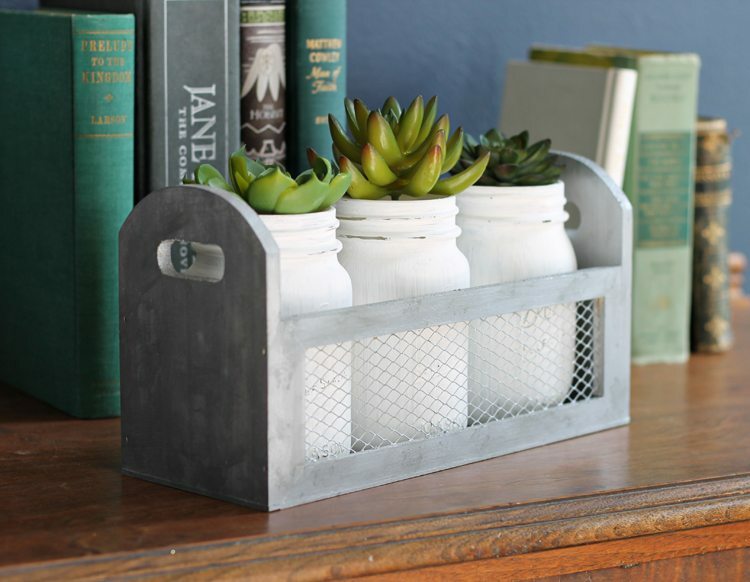 This homemade plant holder also holds tons of appeal. 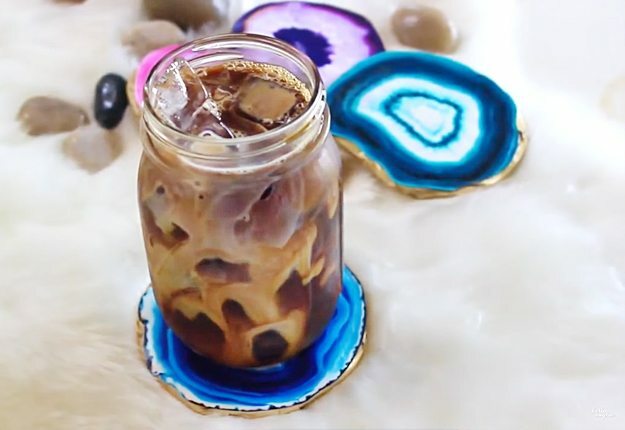 Jewel-toned, crystal coasters are pretty, but they can also cost a pretty penny. Make a gorgeous set for yourself, instead. The next time you grab an iced coffee to go, hang on to the bottle. 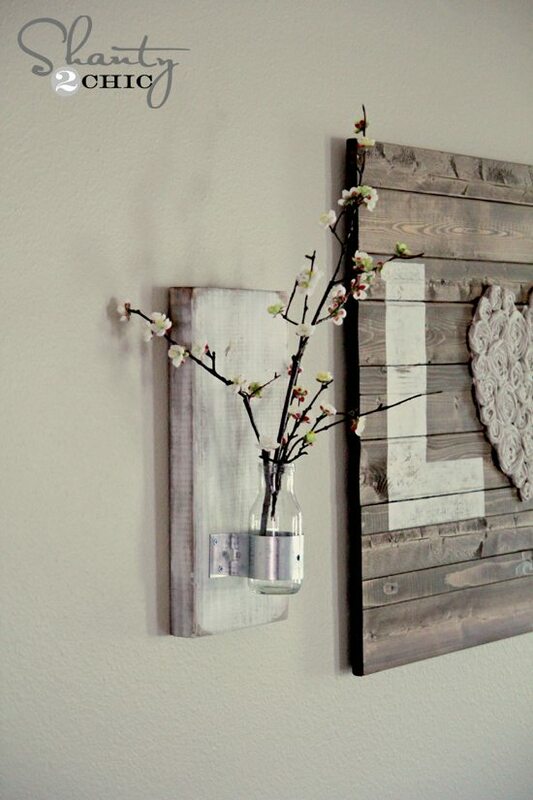 You can transform it into cute, cottage-style wall art. This trendy pendant light might seem difficult to make, but the trick is to buy the wood pieces already bent (in the form of quilting hoops!). 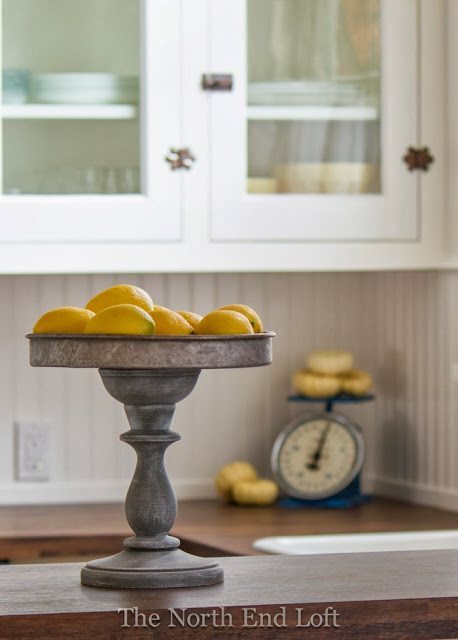 Your kitchen will look like Joanna Gaines paid a visit when you make this charming accessory. Candlesticks, cake pans and some paint are the essentials for this DIY project. Your home is your castle and your bedroom is your sanctuary. 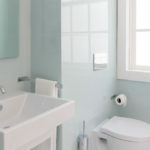 Shouldn’t your bathroom be your spa? 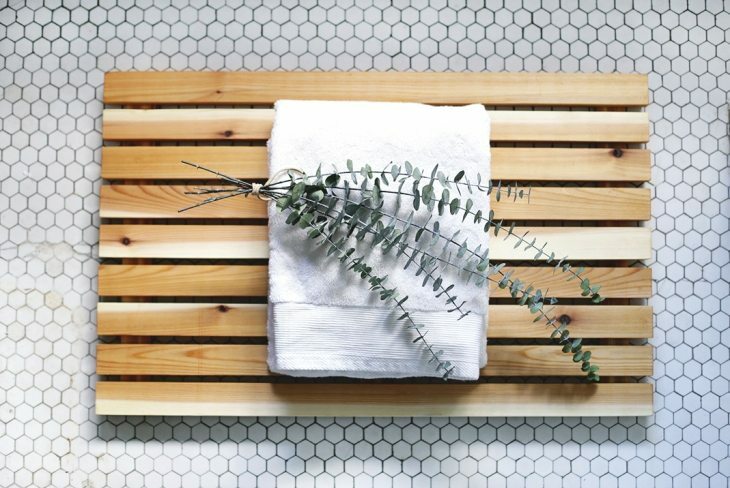 Add instant zen with this sleek and simple bath mat. A planter box, some chicken wire and glass jars come together in this fresh and fashionable centerpiece that has just the right amount of old-fashioned country charm. 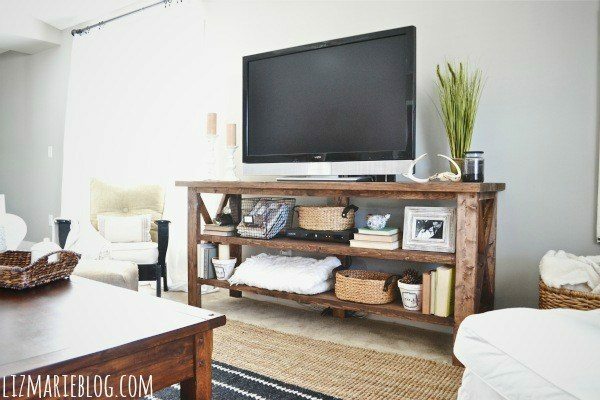 Even beginning woodworkers can pull off making this rustic TV console. The plans are straightforward and the results will impress. 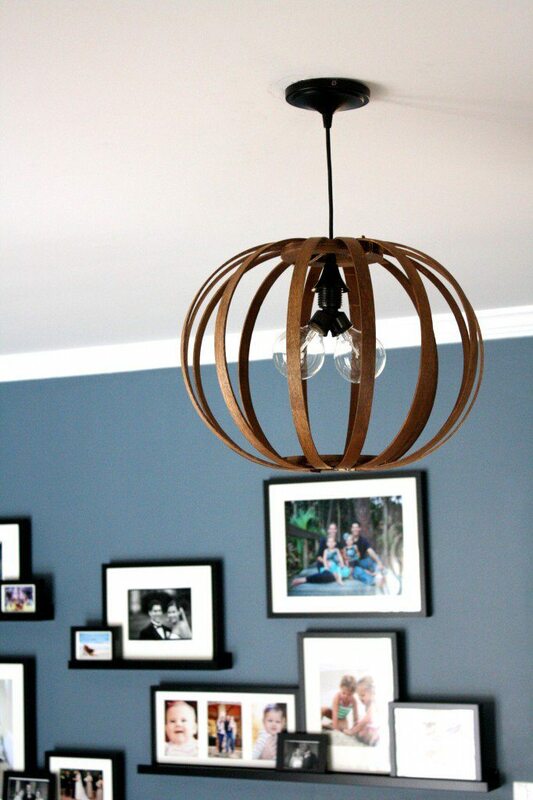 If you have an old light fixture that does nothing for your décor, give it new life with this DIY project. 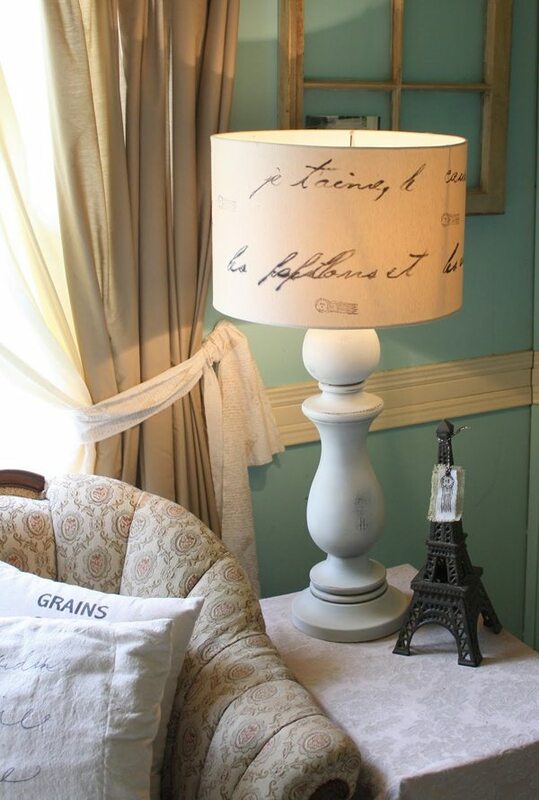 Turn a boring lamp and basic shade into a romantic, French country piece. 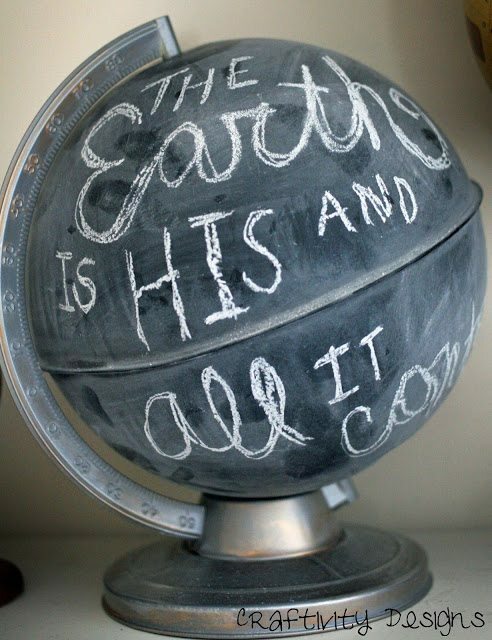 If you always wanted a soapstone globe from Anthropologie but just couldn’t justify spending several hundreds of dollars on one, this homemade knockoff fits the bill. You know that feeling when you see a perfectly good, albeit dull, piece of furniture on someone’s curb? You would love to take it home and update it, but you just don’t have any ideas. 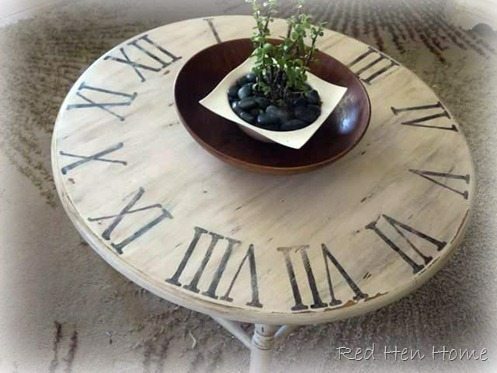 The next time you spy a round coffee table, you can upcycle it into a weathered clock table. 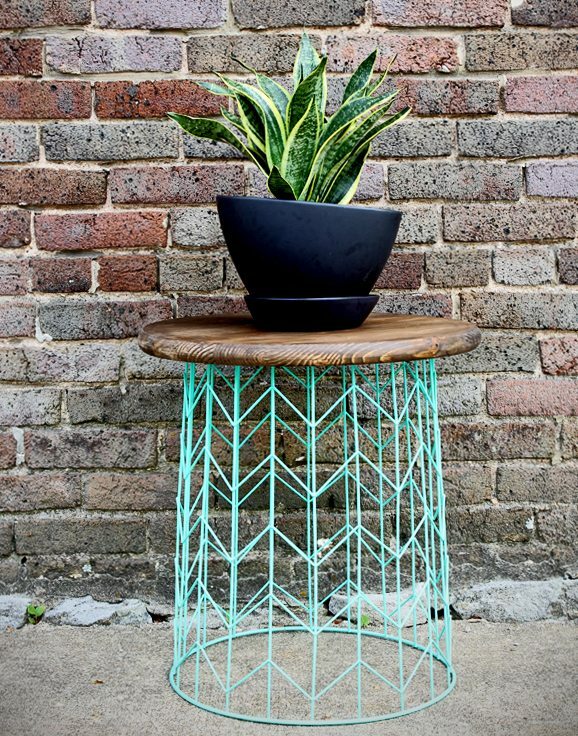 A wire wastepaper bin, an old tabletop and some pretty spray paint can become a stylish side table in your capable hands. 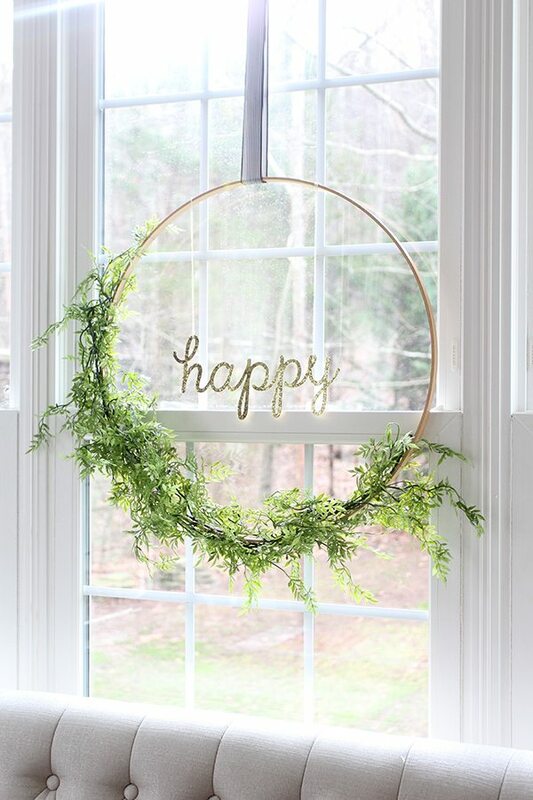 When you strategically add some faux greenery to an oversize embroidery hoop, you get a simple yet stunning wreath for any season. There is something soothing about smooth, rounded river rocks. 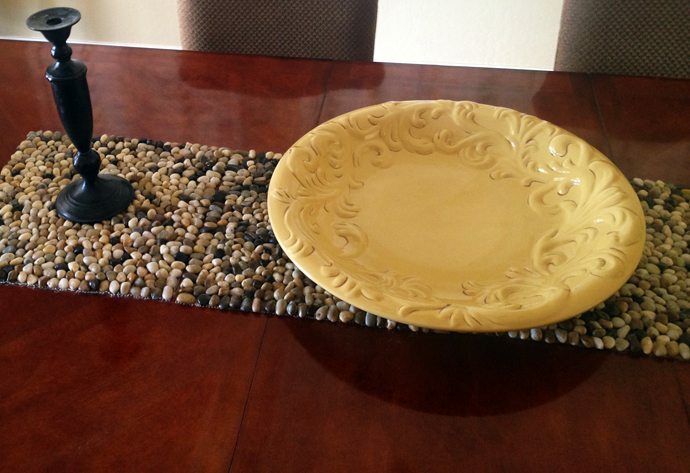 You can bring the outdoors in by using these small stones to make runners and mats for your dining table. 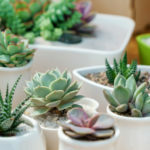 The next time you see a piece of droolworthy décor that you would love to have in your home, ask yourself, “Can I DIY it?” With a little imagination, time and effort, chances are good that you can.